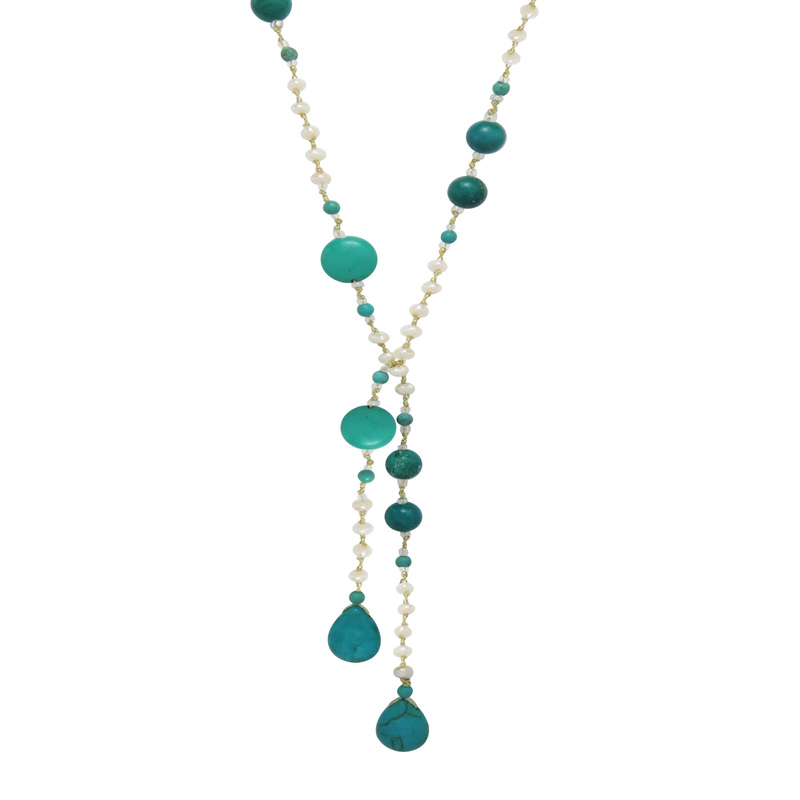 You'll love the interesting shapes and gorgeous colors in this beaded necklace made from turquoise (reconstructed), freshwater cultered pearls and crystal glass. What a great accessory to dress up a great tan or your favorite top. Length: 20". 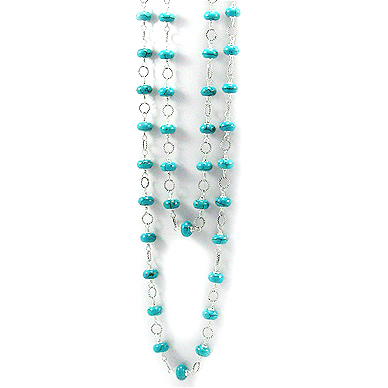 Turquoise (reconstructed) and Sterling Silver Double-Strand Hoop Necklace, 31"